Classical guitars rank among the traditional musical instruments with a very long history stretching back to the 17th century. 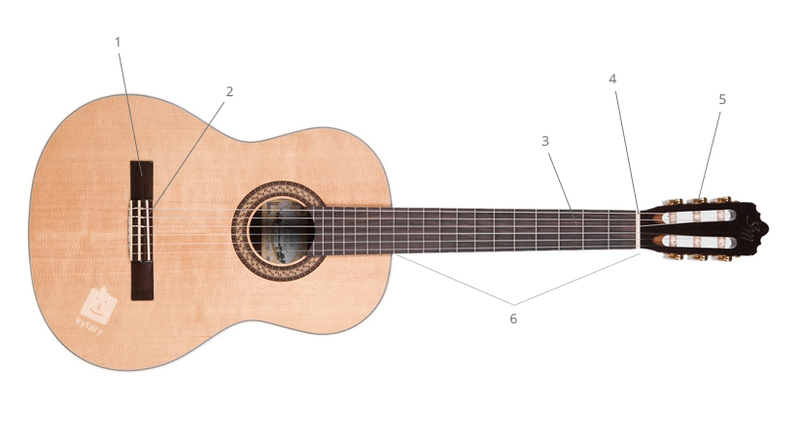 To help you choose the right one for yourself, your loved ones or children, we have prepared shopping advice entitled ‘how to choose a classical guitar’. Thanks to their nylon strings, classical guitars are suitable for all beginners and for children. In contrast to metal strings, nylon strings are easier to press, and playing the classical guitar (widely taught at elementary art schools) is excellent future training for any beginning musician. The most important thing when buying a classical guitar, especially for a child, is the size of the instrument. 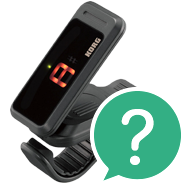 Call 020 8089 1481 (Mon-Fri, 9 a.m. - 5 p.m.) and our experts will be happy to help you choose the right instrument; you can also send us your questions by email to . There are two categories in the Guitar section of our e-shop, and while they might look the same to beginners, there are in fact significant differences between them. The categories are classical guitars and acoustic guitars. Classical guitars, also known as ‘Spanish guitars’, are used to play classical music and flamenco. They have a wide (unadjustable) neck, a flat (not curved) fretboard, and nylon strings. Be careful: metal strings must not be used on a classical guitar, as their higher tension could pull out the bridge and destroy the instrument. Classical guitars are played with the fingers, not a pick. In contrast, instruments in the section labelled .Acoustic Guitars (also known as ‘western’ guitars) have metal strings and are mostly played with a pick; compared to classical guitars, they also have a narrower fretboard that is curved, and are used to play country, folk, pop, rock and other musical genres. When buying a guitar for a child, special attention must be paid to the child’s height. Only with the proper guitar size will the child be able to play well. And as the child grows, its important for the guitar to grow along with them. 1/4-sized guitars are intended for the smallest players aged 4-6 and for those with a height of 100-115 cm. 1/2-sized classical guitars are the next size up and are intended for those aged 6-8 and for those with a height of 115-135 cm. These guitars are meant for children 8-11 and with a height of 135-150 cm. Guitars in this size category are closest to full-sized guitars and are ideal for children 11-13 or for individuals 150-160 cm in height. Full-sized classical guitars are intended for children over the age of 13 or for anyone taller than 160 cm. The method by which the body of guitars are produced determines the sound qualities of the instrument and its resulting price. • The most affordable classical guitars have a laminated (plywood) body. These instruments are ideal for beginners not only from the perspective of cost but also for their ease of maintenance. Guitars with a laminated body are great for travelling, for singing around the campfire and similar occasions, as they are highly resistant to the surrounding conditions. • The next level of guitars is semi-solid wood models with a soundboard made of solid wood and the sides and back of the body made of laminated material. In general, semi-solid wood guitars offer a richer and fuller sound. At the same time, they also requires at least minimal control of the humidity in the room in which they are stored, as solid wood tends to ‘work’. • The highest level of guitars consists of those made entirely of solid wood. Their soundboards, sides and back are made from solid wood.The quality of the materials used to make the guitars is on the highest level, which naturally has a positive impact on the sound. Solid-wood guitars are also the most sensitive to the surrounding conditions and required careful control of the the humidity in the room in which they are stored. Don’t forget about appropriate accessories for your new classical guitar. These include a tuner (any clip-on tuner will suffice), a hard case or soft case, a backup set of nylon strings and a stand on which your guitar will look like royal!